DeWitt was a very rural community until about 90 years ago when tracts of farm land were sold to area estate developers who sub-divided the land into home sites. The Depression delayed housing development, but by 1932 the need for fire protection was apparent and led to the creation of the DeWitt Fire Department. On April 26th of that year, at the height of what is still called The Great Depression, the DeWitt Fire Department was funded by a donation of $141 from the women of the Dewittshire section. The membership of the DeWitt Men's Association provided the initial cadre of volunteer firemen, using a donated utility truck to carry hose. A woodshed from an old school was moved behind a gas station at the southwest corner of the intersection of Thompson Road and Genesee Street and became the meeting place for the Department. In October 1933, Everett B. Price, became the elected Chief of the firefighters. Mr. Price had been a fireman in Worcester, MA, and was able to provide the necessary training to his volunteer crew. By 1939, the voters had authorized up to $10,000 for the purchase of land and the construction of a building for the Department. The new building was completed in early 1940 and the firefighters moved to their new, permanent quarters. DeWitt grew steadily, especially during the post-World War II housing boom. This growth has meant that additions to and eventual replacement of the initial facility, and full-time employees now work with the volunteers, but the Department has held true to its original calling to provide the best possible protection and assistance to all residents of DeWitt. The department has grown and changed, from the initial handful of members to more than 30 volunteer and career personnel today. To meet the growing number of calls and demand for service, requirements and deployment have also evolved including the provision of around-the-clock paramedic level medical care. The DeWitt Fire District covers approximately 10 square miles and is comprised of diverse residential neighborhoods, commercial, retail and light industrial occupancies, numerous schools, several apartment and adult care facilities. We operate two engines, one truck and a light rescue unit to handle a current call volume of approximately 2000 responses which include numerous types of emergencies. 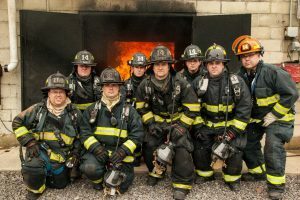 A comprehensive training program with in-house facilities for fire and emergency medical training. Additional and advanced coursework is offered at other facilities throughout Onondaga County and New York State. State-of-the-art equipment, personal protective equipment and emergency response apparatus. Fitness facility with free weight, universal weight and cardio equipment. Team: an excellent sense of community and service, camaraderie. Applicants must complete a medical evaluation and NYS required background check. 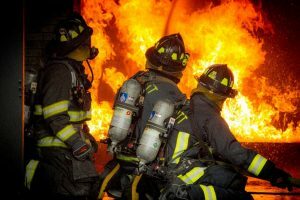 Career firefighters are hired through the Onondaga County Department of Personnel as vacancies occur. Civil service exams are offered periodically. Those interested in career opportunities with us can contact us at info@dewittfire.org.